This Buffalo Cauliflower Wings recipe is a healthy alternative to making fried chicken wings. While it is a crowd favorite during football season, it is something that I make everytime that I have guests over because it is such a crowd favorite. They can be gluten-free, vegan, or vegetarian. My favorite way to eat them is like a chicken wing dipped in ranch or blue cheese. 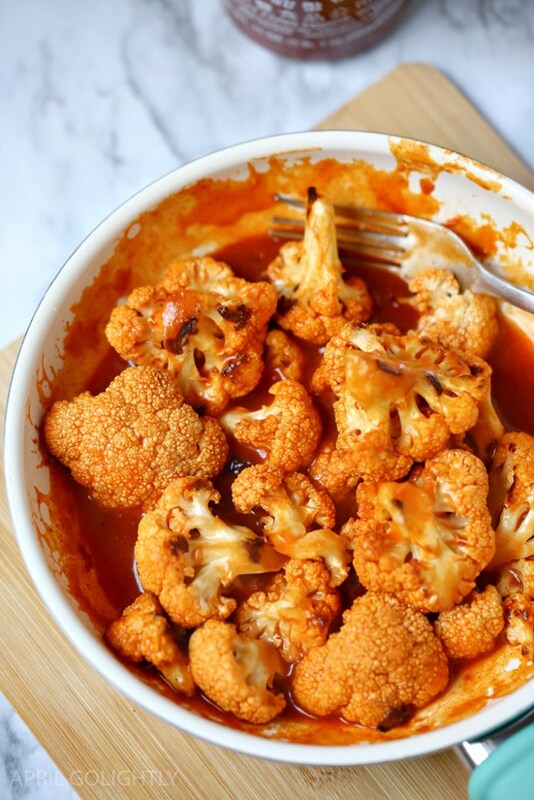 This buffalo wings cauliflower dish works perfectly in a buffet setting as a yummy side dish or you can make it as the main dish for vegans or vegetarians. You can also make these amazing mini overstuffed baked potatoes for your buffet. Easy Buffalo Wing Cauliflower recipe that works as side dish for a buffet or for yummy dipping items for football season and beyond. Arrange on a baking sheet, brush with olive oil, and bake for 15 minutes at 350 until edges start to slightly brown. While cauliflower is cooking, mix together sauces and butter in a skillet. Add in cooked cauliflower, and saute over medium/high heat for 10 minutes, stirring/flipping frequently. Serve sprinkled with crumbled blue cheese. 0 Response to "EASY BUFFALO WING CAULIFLOWER RECIPE "